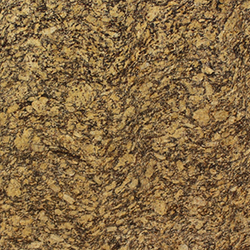 Our organization is indulged in offering Gold Granite to our clients. Surya Chandra Granites was established in the year 2003. We are the leading Supplier, Manufacturer of Red Granite, Brown Granite, Black Granite (G20), Absolute Black Granite, Granite Floor Slab, Polished Granite Slab. With well-organized manufacturing facilities and logistic and transport systems, we deliver the stones safely on the stipulated time, resulting in the invigoration of client relation. We have left a brilliant mark in the industry owing to our tenacious commitment to holding out pristine and high quality granite which stand the test of time and are extensively used across the globe due to enduring aesthetics and strength. We believe in meeting customer's requirement and satisfaction with the help of superior skills. We have a competitive advantage over others in terms of superior quality and affordable prices. A reason why we are flooded with the offers from our deemed clients.